Besides, we have our own shipping company, we'll arrange the most suitable liner to make you receive your machine as soon as possible. We have our own shipping company, so we&rsquo;ll arrange the most suitable liner to make you receive your machine as fast as we can. 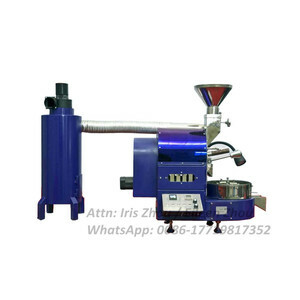 Our main products is peanut roasting machine of large capacity range, coffee roasting machine and so on. 2. 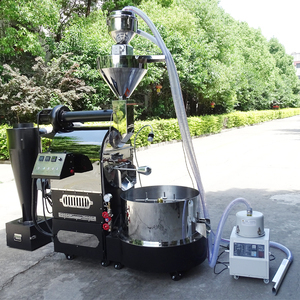 Automatic 15kg industrial high quality coffee roaster has a automatic temperature controller. 3. View our company -Sale service 1. Instance guidance is available on the phone or email any time. And our engineers will provide the best advice and choice for our clients. Features 1. All bean contact body are made of High temperature resistant stainless steel. Our company builds its own R&D center and experiences a longer cooperation with many R&D units and higher institutions. We have a good market in domestic regions and other 50 countries and regions all over the world, And win many trophies. 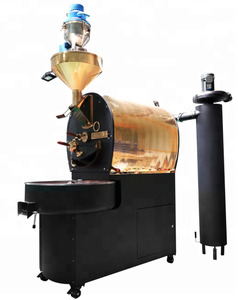 Gas Heating Coffee Roaster for Sale Product details: 1. 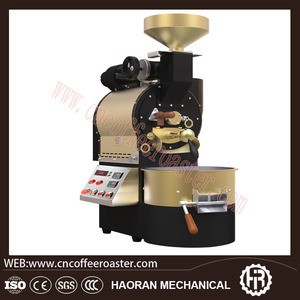 Our coffee bean roasting machine adopts superior imported steel via special technology processing production roasting roller, with high-temperature heating non-deformation characteristics to ensure no leakage beans,no stuck beans, roasting evenly. A special handle is designed to take roasted coffee beans samples , in order to sampling observation during the roasting process, further grasp bean roasting conditions within the storehouse. 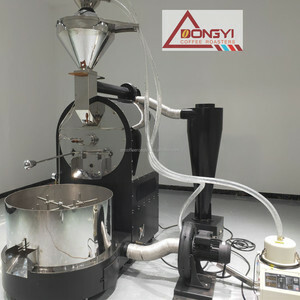 3.It adopts the straight heat,import suction type fan wind is big,ensuring smoke and bean skin can be quickly eduction, which guarantees the roasting quality. Coffee-Tech Engineering specializes in the manufacture of professional coffee roasters and coffee roasting equipment. Coffee-Tech Engineering is in the possession of experienced experts in roasting, blending and brewing methodologies. 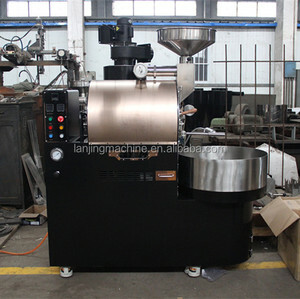 It features full professional profile and heavy-duty design for quality roasting and reliable operation. Quite suitable to use in the small cafe shop, movable cafe cart, and home for sell the roasted beans and resell. If it is determined that machine was abused or not used according to the manual then this is not covered under warranty but parts can be provided at normal cost and shipping. After warranty parts are sold at standard list price and you choose and pay for they type of shipping you prefer. 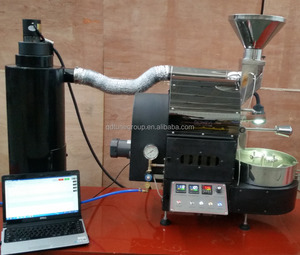 Alibaba.com offers 1,263 15kg coffee roaster products. About 42% of these are coffee roasters, 7% are other food processing machinery, and 2% are bean product processing machinery. 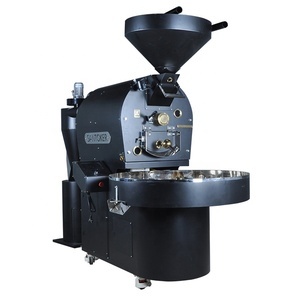 A wide variety of 15kg coffee roaster options are available to you, such as ce, cb. 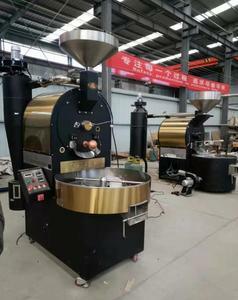 There are 1,182 15kg coffee roaster suppliers, mainly located in Asia. The top supplying countries are China (Mainland), Turkey, and South Korea, which supply 99%, 1%, and 1% of 15kg coffee roaster respectively. 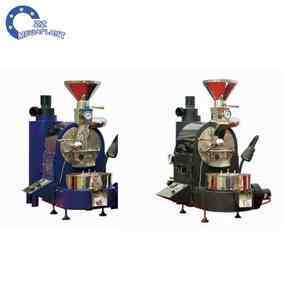 5kg coffee roaster products are most popular in Domestic Market, Mid East, and South Asia. You can ensure product safety by selecting from certified suppliers, including 184 with ISO9001, 171 with Other, and 125 with ISO14001 certification.